Do scheduling blog posts and social media content overwhelm you? If so, you are not alone. It can be exhausting. Sometimes I imagine myself taking a social network hiatus… But alas! I still need to schedule and share my posts. Disclosure: I, Tina Ernspiker, may receive a commission if you decide to use one of the companies in this post. See full disclosure here. There are nine tools I currently use. When I started blogging a few years ago, I refused to pay for apps and plugins. I was stubborn. I only started spending money on my blog earlier this year after I saw a little profit. So far the money spent has been worth it, and I don’t regret it. Usually, you get a trial period with these services. There have been a few services that didn’t fit my needs. I was able to cancel these and eventually, I found the tools below. They are worth taking a good look at, and hopefully, some of them will work for you! My blogging buddies praised this app, and I didn’t believe them. Now, I love it for scheduling all my blog posts to Facebook, Twitter, Pinterest, and LinkedIn. 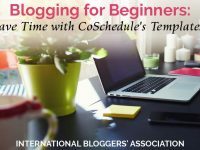 I can schedule my posts to go out multiple times with a CoSchedule plugin for my blog. I usually have posts scheduled up to two months out. It’s fantastic. Try CoSchedule. I doubt you will go back. I started with a free trial and couldn’t live without it when it was over! Tailwind is great for Pinterest scheduling. I love the Tribes feature where you can find great content relevant to your site from other bloggers. I recently signed up for the beta Instagram scheduling as well. I am not sure what it entails, but I look forward to checking it out. I started with the free trial on this one too, and then I quickly paid for the service. I simply could not keep up with Pinterest without Tailwind! – With this link, you will receive one month free and $15 credit when you pay for your first month of service. Onlypult is my scheduler for Instagram. I love it. It can handle both of my accounts, and it is super easy to use. It may not be well heard of… many Instagram schedulers simply remind you to post and don’t actually post. Onlypult posts your images and thus far I have had no problems with it! I use this to post throughout the day and not all at once. This makes for more interactions on my images! That is always good. 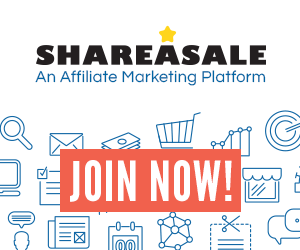 – With this link, you will receive 10% off your first payment. Some bloggers swear that to really boost Pinterest you need Tailwind plus BoardBooster. They are different in a few ways. One way is that BoardBooster can be used for looping your pins. What is looping? Looping is when you take an old pin and repin it back to the same board. It’s added exposure for your older pins. I am still in the process of setting this one up and learning about looping. The free trial comes with 100 pins. Buffer for posting great reads outside my blog to my Facebook page primarily, but also to Twitter. (I know many suggest using Facebook’s in-app scheduler. I tried it, and I didn’t see any results.) Buffer has a free plan that works well for me. It is easy as pie to setup and use. Jetpack is also a plugin with lots of features that I like. It has a sharing tool called Publicize. I use this tool for sharing my posts to my Google+ profile. Unfortunately, CoSchedule only shares to Google+ pages right now. UPDATE: Jetpack was making my WordPress blog wonky and I couldn’t deal with it anymore. It’s gone too, like Nextscripts. Maybe it’s just my site. Some people love it. I know it seems like a lot. I wouldn’t recommend setting all these schedulers up at once. It has taken me almost three years to get to this point! 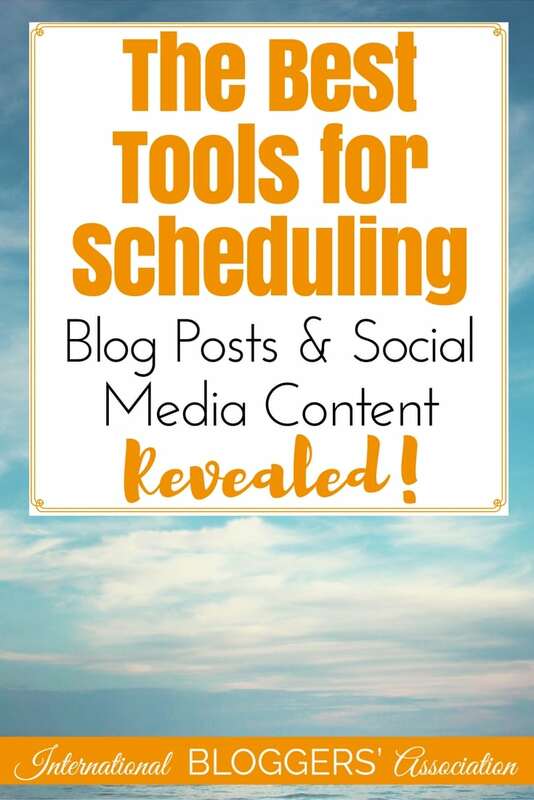 Use the tools that make scheduling blog posts and social media content less overwhelming for you. They should help you, not stress you out! Maybe one day I will be able to streamline them more but for now, this works, and it works well. 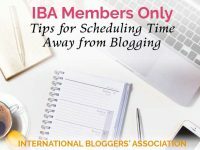 What Do IBA Members Recommend for Scheduling Blog Posts and Social Media Content? “I typically use Hootsuite for Twitter, (I have multiple accounts), and I schedule posts directly in Facebook. Pinterest is still a manual thing at this point because I wasn’t sold on BoardBooster and haven’t tried Tailwind yet. I also do Instagram manually at this time and typically post twice a day. “I am slowly getting better at scheduling blog posts and social media content, but I am still all over the map. Currently, I use Tailwind for Pinterest which I have fallen in love with over the last three months; Hootsuite, (free version), for Twitter and Google+; Facebook for Facebook because they don’t play nice with schedulers. (I tried, and it failed miserably! ); Instagram for Instagram, (when I remember), because the Hootsuite app drained my phone battery like crazy. 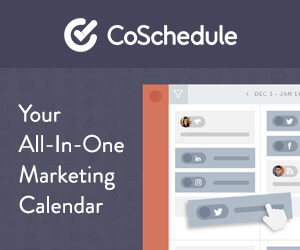 “I swear by CoSchedule, (as many of us do). When I schedule a post, I also schedule shares on Twitter, Facebook, and Google+. 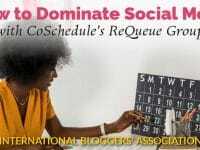 Then about a month later I’ll come back to my CoSchedule calendar and schedule a few more tweets for my post so that it can continue generating traffic. Super easy! Since CoSchedule doesn’t support Instagram I use Hootsuite for that. I have it integrated with my Dropbox account. I can pull images related to my posts, and schedule those for my Instagram account. I also love to schedule and share my posts on Facebook, Twitter, and Instagram using the Ripl app right from my phone. This app makes it super easy to customize eye-catching posts that alert my readers about what I’m sharing on my blog. Ripl provides some great templates — you can use their images or your own. As part of the Ripl Insider Program I use their Ripl Pro version, which allows me to schedule my posts, add my custom logo, and even include music, (great for Instagram). I highly recommend it! You can become a Ripl Insider too! It’s a great program with lots of perks. FYI: Ripl links are not affiliate links – just a great program bloggers might want to join.” – Monica from NYC Tech Mommy – NOTE FROM TINA: Right now Ripl is only available for Apple, but there is a list you can join on the site for an upcoming Android app. Again, I say, use whatever tools make scheduling blog posts and social media content less overwhelming. Don’t try them all at once. Pick what you need now and start there. Plus you can see that bloggers have different opinions about what works for them. That is cool. We don’t all have to like the same thing. That’s why we have options. Isn’t it good to know what they are? If you have another tool in mind for scheduling blog posts and social media content, please tell us about it in the comments below. 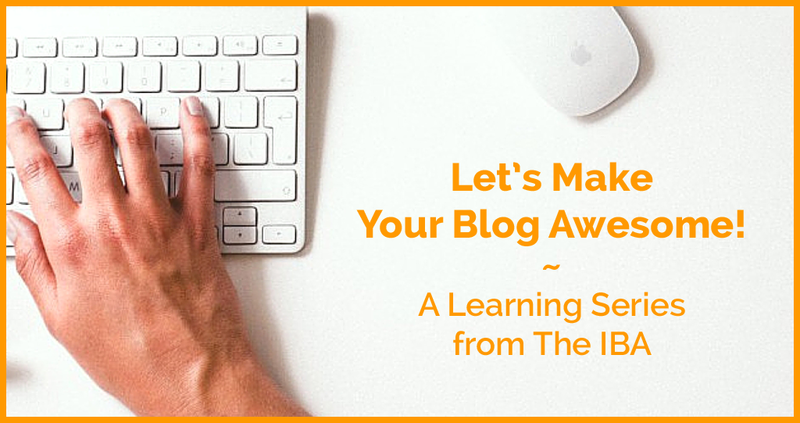 Let’s Make Your Blog Awesome is an original blogging learning series written for the International Bloggers’ Association. Stay tuned for the next edition of Let’s Make Your Blog Awesome coming October 12th.